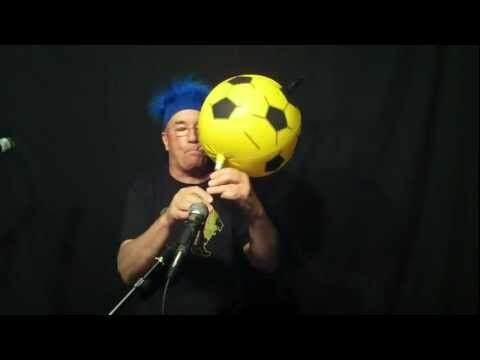 Linsey’s You Tube channel has had over 3 million views… He’s amazing! Tel: 1300 438 849 or online by Clicking Here. 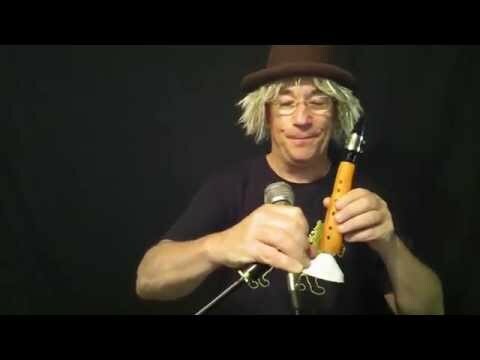 Linsey makes music by live looping instruments of his own making such as the saxillo, “Mr Curly”, the Rubber Glove bagpipe and Donna (a glass bass clarinet). 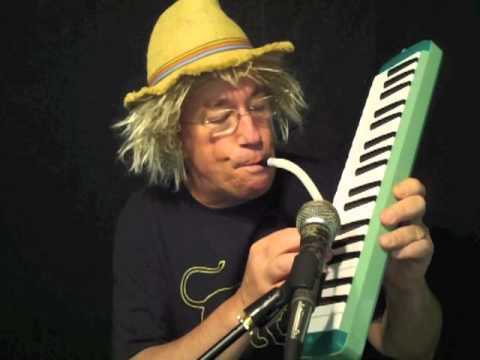 Using these instruments as well as voice, balloons, melodica, jawharps and a carrot clarinet he cunningly creates layers of music so that the audience can enjoy the process of composition as well as the product of performance. Linsey Pollak is well known all around Australia and the world as a musician, instrument maker, composer and musical director. He has toured his various solo shows extensively in Europe, Nth America and Asia since 1996. All these shows over the last 20 years have featured Live Looping – whether looping sounds created with a bicycle (Cycology), with carrots (The Art of Food), with sounds of extinct and endangered species (The Extinction Room) or with sounds from the audience (The Voice Collector). Linsey has a reputation for making and playing instruments made from found objects such as rubber gloves, carrots, watering cans, bicycles, chairs, brooms and rubbish bins. 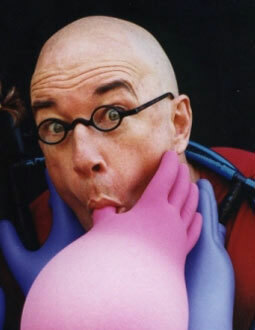 First developed in his solo show “Bang it with a Fork” and further in the acclaimed children’s show “Out of the Frying Pan”, this line of musical inventiveness has been combined with live looping to develop nine different solo shows over a period of 20 years such as “Knocking on Kevin’s Door”, “Playpen”, “Making Jam” and “Passing Wind”. The next (10th) solo show will be part of LoopFest. • established The Multicultural Arts Centre of WA. • co-ordinated five Cross-cultural Music Ensembles in three different States. • performed at most major Festivals around Australia. • recorded 28 albums with various groups. 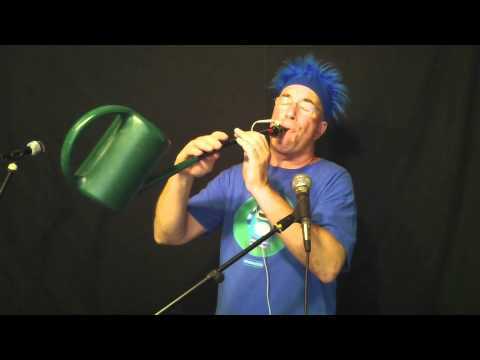 • worked as a musical instrument maker for over 35 years designing a number of new wind instruments. 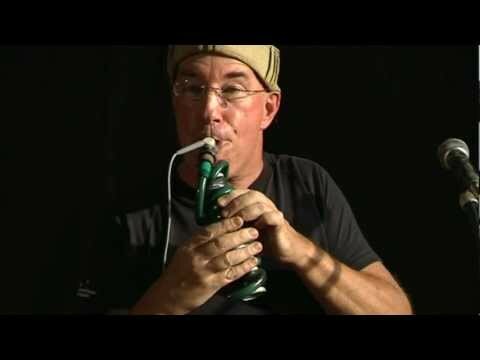 His current musical projects are his solo shows “Live & Loopy”, “Passing Wind” & “The Extinction Room”, the street bicycle clarinet trio “The Cycologists” and World music duo “Dva” (with Tunji Beier). “Knocking on Kevin’s Door …is a little gem.” The Australian.